[S337] Meletes, "Hamond the Poet", Notes and Queries series 2, volume 12 (13 July 1861). Hereinafter cited as "Hamond the Poet." Robert Walpole, 1st Earl of Orford was born on 26 August 1676.1 He was the son of Robert Walpole and Mary Burwell. He married, firstly, Catherine Shorter, daughter of John Shorter and Elizabeth Philipps, on 30 July 1700.1 He married, secondly, Maria Skerret, daughter of Thomas Skerret, before 3 March 1737/38, previously his mistress.1 He died on 18 March 1745 at age 68. [S21] L. G. Pine, The New Extinct Peerage 1884-1971: Containing Extinct, Abeyant, Dormant and Suspended Peerages With Genealogies and Arms (London, U.K.: Heraldry Today, 1972), page 211. Hereinafter cited as The New Extinct Peerage. [S6] G.E. Cokayne; with Vicary Gibbs, H.A. Doubleday, Geoffrey H. White, Duncan Warrand and Lord Howard de Walden, editors, The Complete Peerage of England, Scotland, Ireland, Great Britain and the United Kingdom, Extant, Extinct or Dormant, new ed., 13 volumes in 14 (1910-1959; reprint in 6 volumes, Gloucester, U.K.: Alan Sutton Publishing, 2000), volume III, page 203. Hereinafter cited as The Complete Peerage. From 15 January 1833, her married name became Cust. Her married name became Cust. 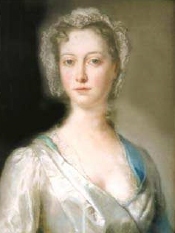 After her marriage, Frances Bankes was styled as Baroness Brownlow of Belton on 20 May 1776. [S6] G.E. Cokayne; with Vicary Gibbs, H.A. Doubleday, Geoffrey H. White, Duncan Warrand and Lord Howard de Walden, editors, The Complete Peerage of England, Scotland, Ireland, Great Britain and the United Kingdom, Extant, Extinct or Dormant, new ed., 13 volumes in 14 (1910-1959; reprint in 6 volumes, Gloucester, U.K.: Alan Sutton Publishing, 2000), volume II, page 348. Hereinafter cited as The Complete Peerage. 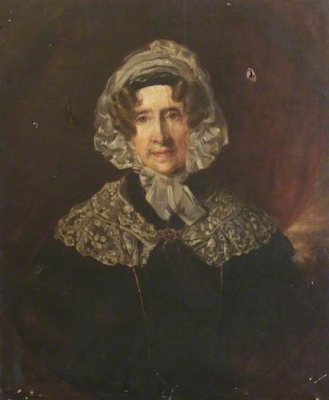 From 24 July 1810, her married name became Cust.3 After her marriage, Amelia Sophia Hume was styled as Baroness Brownlow of Belton on 24 July 1810. [S39] Marquis of Ruvigny and Raineval, The Blood Royal of Britain: Tudor Roll (Baltimore, MD, USA: Genealogical Publishing Company, 1994), page 383. Hereinafter cited as The Blood Royal of Britain: Tudor Roll. [S39] Marquis of Ruvigny and Raineval, The Blood Royal of Britain: Tudor Roll, page 51. [S6] Cokayne, and others, The Complete Peerage, volume II, page 349. Sir Abraham Hume, 2nd Bt. 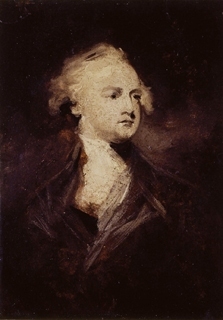 He gained the title of 2nd Baronet Hume. [S6] G.E. Cokayne; with Vicary Gibbs, H.A. Doubleday, Geoffrey H. White, Duncan Warrand and Lord Howard de Walden, editors, The Complete Peerage of England, Scotland, Ireland, Great Britain and the United Kingdom, Extant, Extinct or Dormant, new ed., 13 volumes in 14 (1910-1959; reprint in 6 volumes, Gloucester, U.K.: Alan Sutton Publishing, 2000), volume II, page 349. Hereinafter cited as The Complete Peerage. From 22 September 1818, her married name became Cust. 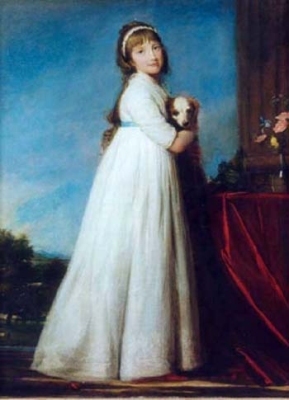 After her marriage, Caroline Fludyer was styled as Countess of Brownlow on 22 September 1818.